I have a 10 year old boy. I love him to the moon and back and would do anything for him. We’ve always had a close, healthy mother/son relationship that I cherish with all my heart. Disciplining my son has, up until this point in our lives, been relatively easy. Back when the ‘time out’ method worked for him, all I had to do was start counting, ‘That’s 1……” and that was it. We very rarely got to 3. And when we did, he was devastated. I was too, but I tried not to show it and I knew that he needed to learn whatever lesson it was at the time in order to be a good kid. We’ve been cruising along with this childhood thing for 10 years now and, overall, things have gone very smoothly. I love being a mom to him and he’s been an exceptional kid. BUT…….this is where you hear the needle scratch the record……times, they are a’changin’! Typically my son rides the bus home from school, but the other day I had to pick him up as a car rider. As I was sitting in my car waiting for him to come out of the school, I could see his sweet, cute face standing there waiting to be dismissed. Sometimes I still see that same exact face I saw when he was a little baby. He ran out to the car, got in, buckled his seatbelt and we were off. I asked how school was and he gave me the obligatory response: ‘Good’. You would’ve thought I just told him that I took a sledgehammer to his tablet or something. He was so angry and said ‘Stop! That’s not funny!’ and then he imitated how I said it with a disgusted look on his face. It took all I had in me not to start crying. It caught me off-guard and I was crushed! I was quiet the rest of the ride home. He obviously realized he hurt my feelings. It took me a little while to snap out of my funk. This wasn’t my first exposure to my son transitioning from a ‘little kid’ to a ‘tween’. It had been a few weeks that I could see a noticeable increase in disrespectful comments, misbehavior and push-backs from him. Don’t get me wrong, things could be so much worse, but in the case of my always obedient, sweet son, this was new territory for me and I didn’t know how to handle it. So I took it to Facebook to get some advice from my mom friends. The response I received was amazing. 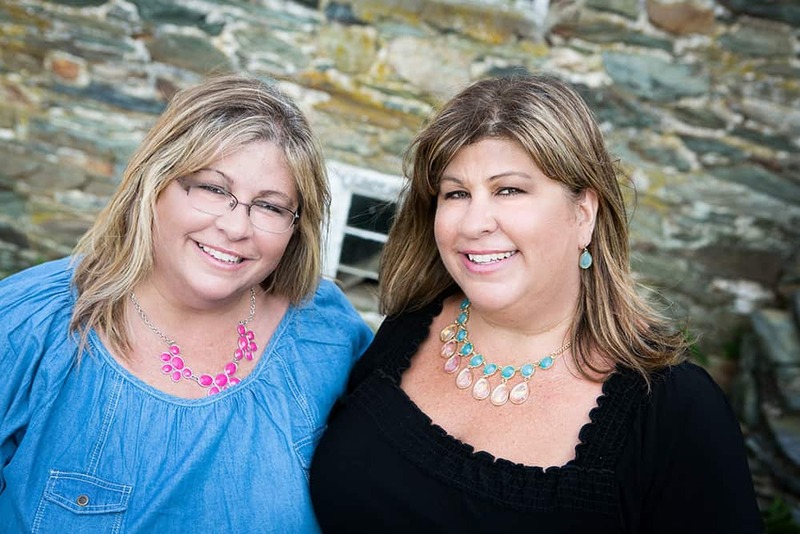 I wanted to share this invaluable advice with my readers because I know there are so many moms going through this right now who need to know that they’re not alone and that there are tried and true ways of dealing with this new phase of childhood. It’s called puberty. And yes, it starts a lot earlier than you thought. For boys it starts between the ages of 9 and 15 and for girls, it starts between the ages of 8 and 13. Just because his voice hasn’t gotten lower and he hasn’t grown extra hairs in certain places, his body’s hormones are changing. This not only affects his body, but also his personality. He can become more sensitive, anxious, self-conscious, and irritated. Know that this is normal. First, know that you’re not alone. Every parent goes through these phases with their children. Some more severe than others. Know that it’s a journey. There will be ebbs and flows. There will be times that your little boy is back and wants to cuddle with you and have you read to him. But then that ‘tween’ will come back at times as well. Try your best to take the emotion out of it. Ignore the eye rolling, the long sighs and the comments like ‘I’m bored’ and ‘Okaaaaaaaaay’. Spot the diversionary tactics he uses to avoid doing what he needs to do and call him out on it. Know that this too shall pass. Ensure he knows what the rules are. Know that he’s ruffling his feathers and testing his limits with you. This is the time where he is testing you and it will set the tone for his teenage years. Be strong, even if he tells you you’re being mean. Let him know that actions warrant consequences. Be specific with the actions that are unacceptable and the consequences that will take place. For my son, his ‘currency’ used to be Thomas the Train when he was a small child. That obviously wouldn’t work now. His ‘currency; now is his video games or having a friend over. Tell him how his behavior makes you feel. Remind yourself that this is the first in many steps that will help him be the best adult he can be. This will help him with how to handle life issues outside of the confines of the safe environment of his home once he goes out into the real world. Believe it or not, children thrive on structure and even consequences. Here’s an example: My son never finishes his packed lunch at school. He’s never been a big lunch eater and is very picky. He had been coming home from school with headaches and uneaten lunches. I finally told him that if he doesn’t eat his lunch, he loses a day of video games. This worked for a couple of weeks. I recently pulled his lunch bag out of his backpack and saw that he hadn’t eaten his lunch again. Using the advice I received from my mom friends, I told myself that I have to stick with the consequences I set upon him. I told him that because he didn’t eat his lunch, he can’t play video games the following day. He didn’t even flinch. He just said ‘Okay’. The following morning I found him reading because he knew he couldn’t play video games. It was almost like he wanted to pay the consequences. I truly believe that structure brings children comfort, knowing what is expected of them. It also instills trust in them that you follow through with what you tell them. 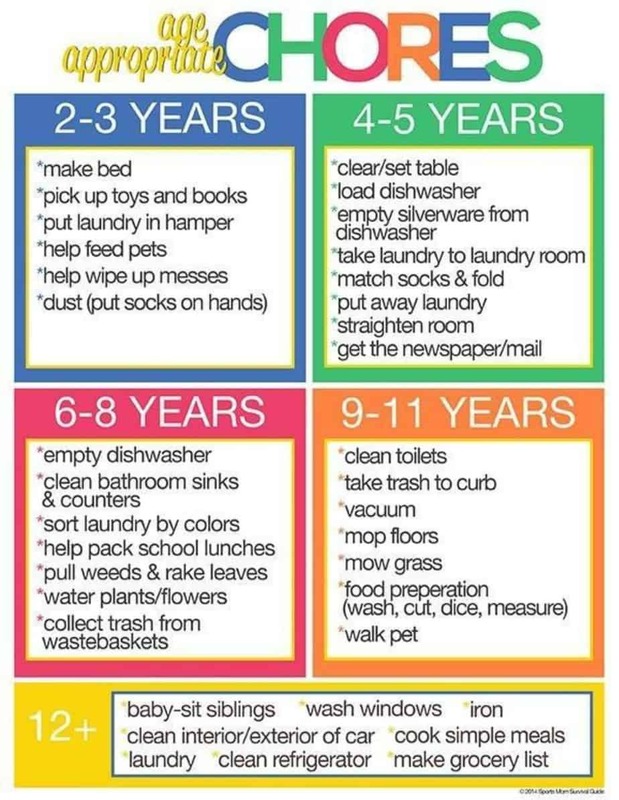 Chores are also a good way to provide structure and foster independence, which is so important because you want him to be a productive adult. Yeah, I know, cleaning toilets is going to be a tough sell, but hey, I had to do it when I was his age. I like that nickname! The Enforcer! That’s me! Mom, the Enforcer! And you know what? Kids need that through every phase of childhood in order to prevent them from growing up into an entitled adult. Of course they also need you as Mom the nurturer, the cook, the taxi, the shoulder to cry on, the audience for their jokes, the homework helper, the encourager, the shopper, the advice-giver, and their biggest fan! Being a parent is a hugely important job, but one that I wouldn’t trade for anything in this entire world! 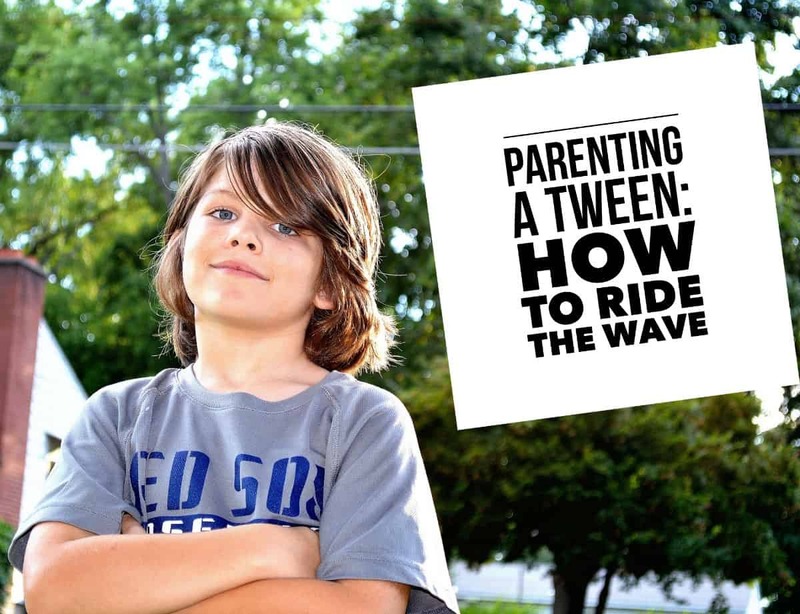 Do you have any tween tips you’d like to share? We mommas need to stick together! I love this! It’s what I needed to hear today. I have a 10 year old boy too and up until now it’s been A smooth ride. I’m drowning in this tween stage. How about an article on how to get boys to care even the tiniest bit about hygiene?! This one is killing me in my house. Thanks for the article. Hey Brittany! I’ll let Pam reply about the tween issues  But about the hygiene issue? I definitely need to write a post about that one! Thank you so much Brittany! I’ve been wanting to write this one for a while. Nothing better than advice from your experienced mom friends to keep you on track. Great article Pam and great advice! Thank you Celeste! We mommas rule don’t we? These are really, really wonderful. My kid is only 3, and although he has that threenager attitude, I know that this is nothing compared to what is to come. Thanks for the warnings, and for sharing the advice you got from folks. I love that, ‘threenager’! So cute! Thank you for your sweet words Lynne. All great comments! It’s not easy because the time goes by so fast and we still see them as our little boys…. and always will. I have an 11-year-old, and we are just starting to experience some of these issues. I try to enjoy the times when he thinks I am “cool” mom, and gently navigate us both through the growing pains we are both experiencing when I am not so cool, while always remembering my job as MOM… not friend. On a side note, at my son’s last doctor’s appointment his pediatrician said to me “Mom, he’s going to start going into the phase where he doesn’t say much. Boys don’t usually have much to say. So when he does talk to you, drop everything and listen because he’s about to say something really important”. Good advice!! So true Aimie! Time really does go by fast and you don’t realize they’re growing up before your eyes. I love your doctor’s advice. It’s so true. Sometimes mine will ask me to go lay on the bed with him to talk. I drop whatever I’m doing and cherish those times.